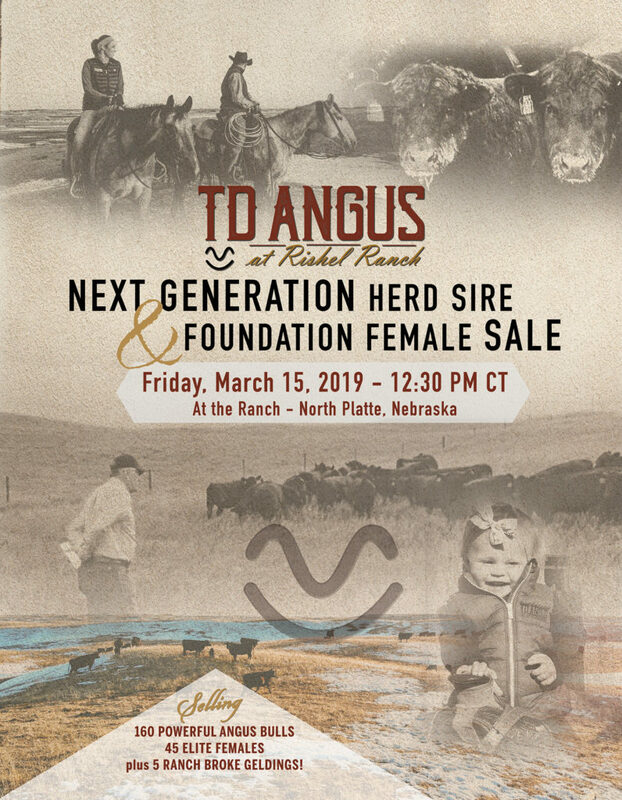 Join us Friday, March 15, 2019 at the ranch for our TD Angus at Rishel Ranch Next Generation Herd Sire and Foundation Female Sale. 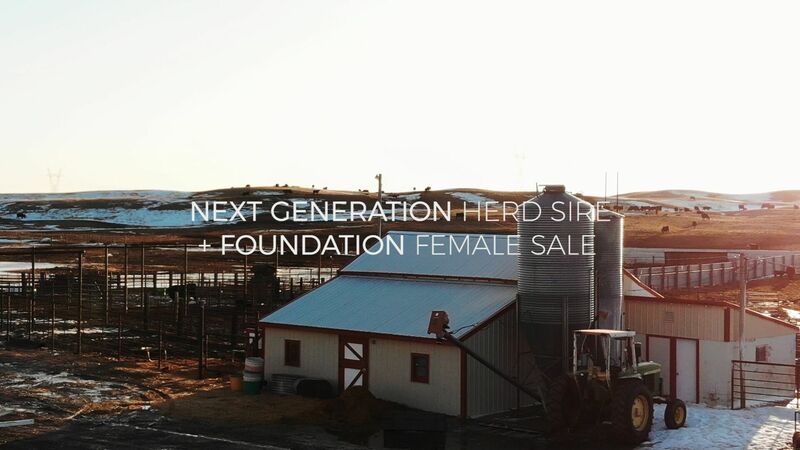 We have an exciting offering of bulls and females with time-tested genetics that are proven to be profitable for our customers. ANNOUNCEMENT– SALE START TIME HAS BEEN RESCHEDULED TO 2:30 PM. High percentage bulls to use with confidence on virgin heifers. Optimum growth to make 1,450-1,475-lb. steers at harvest. Marbling and ribeye EPDs that have helped our customers hit the target for major premiums on value-added programs. Our bulls and females are living proof that you can have breed-leading, balanced-trait genetics in long-bodied, structurally sound, durable cattle that combine maternal efficiency with growth and carcass merit. Online Bidding- The sale will be broadcast live on DVAuction and Superior Livestock Auction. Please register to bid at least 24 hours in advance of the sale. Driving Directions- From North Platte, NE go south 8 miles on Highway 83. At mile marker 73, turn east on Watts Road and follow for 1.5 miles. The sale facility is located on the right side of the road.